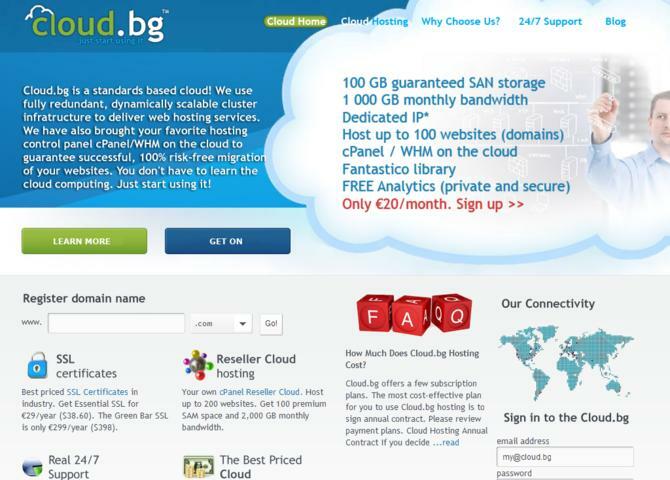 Cloud.bg is a provider of cloud storage, Shared and Reseller Cloud IT hosting services based in Europe. The company is the first ever Cloud computing generation hosting service platform fully automated with cPanel/WHM hosting automation standard. The company makes possible for small-businesses to move their websites to the Cloud.bg risk-free and to use High Availability cPanel hosting services powered by fully redundant cluster infrastructure. Visit Cloud.bg - cPanel Cloud Hosting.